NASA gathered a team of researchers and professors of the Alabama University is working on making robotic honey bees for deploying them in the surface of Mars and the planet earth. The researchers planning to deploy those small flying machines to map the planet Mars for the topographical purpose for the detailed study of the neighboring planet. They named the flying machines as Marsbees. The researchers and professors believing that the artificial bees are the only species that could help in an appropriate way in planet Mars. 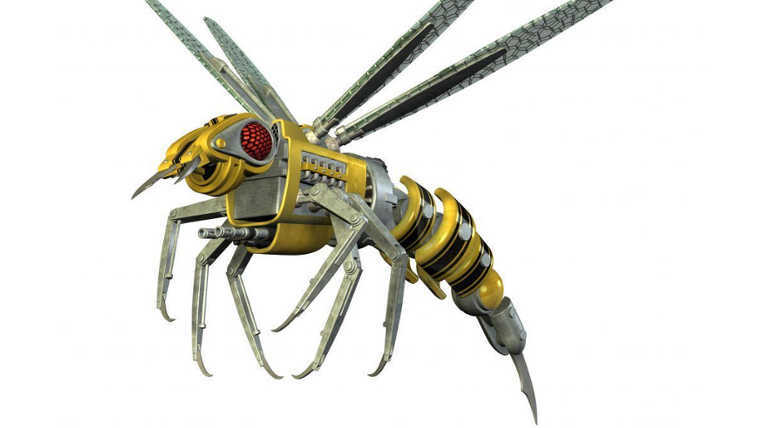 They are claiming that they could modify those Marsbees in order to survive the Mars atmosphere. With the strong background of Fluid Mechanics and structural dynamics the researchers of Alabama university exposing that they can make those bees to adapt the low gravity of Mars by modifying the body its size and the size of its wings, even its flapping frequency. Some of that modification can make those bees to stick the harsh environment as quickly as possible. The bees can able to land on the surface of the Mars to collect samples and bring them to the base for detailed research. The bees are planned to be charged with batteries while they return to the base after every single mission of the day and they can also chargeable whenever they needed to be. Using the bees for collecting data from Mars will be the fastest and smartest way in exploring the neighborhood. The robotic bees are also considered as the safest way of exploration as the Mars wind is considered to be harmful to human but it will not be a great loss to the mission even the worst wind swipe away a bee. The NASA decided to deploy swarms of bees to survey the atmosphere and to search signs of life on the red planet by intaking the air samples of Mars to examine the presence of Methane. NASA now set up to approach the next milestone in the red planet mission. Finally, it seems NASA found an extraordinary way of digging the Mars for detail in a quiet cheapest way.